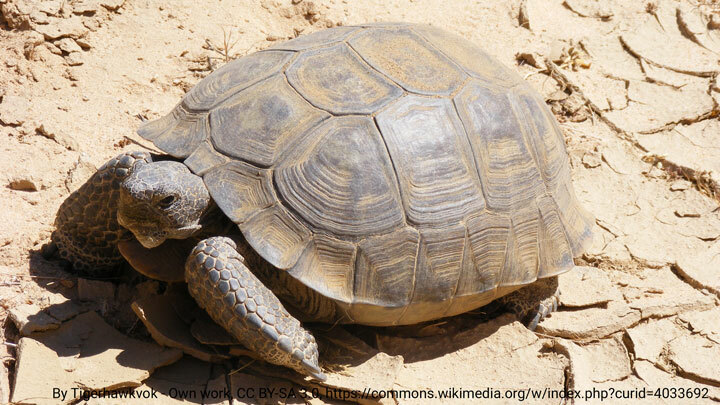 Measuring in at an impressive 15 inches in length, the adult desert tortoise can live up to 100 years, if left undisturbed by man. That last qualifier is perhaps the main reason that the Bureau of Land Management established the Desert Tortoise Natural Area – to protect this endangered reptile and preserve its natural habitat. And the good news is, with a little patience, good directions, and the right timing, wheelchair-users and slow walkers can explore the Mojave Desert and catch a glimpse of this official California state reptile. The Desert Tortoise Natural Area is a bit off-the-beaten path, but don’t let its remote location deter you. Getting there is half the fun. From Highway 58 turn north on California City Road, just east of Mojave. Continue along the road into California City, then bear right on Randsburg Mojave Road. Turn left on 140th Road, then bear left on the graded dirt road after you pass the picnic shelter. From there, it’s about five miles to the preserve; and just when you think you can’t possibly be on the right road, you’ll see a sign directing you to the interpretive center up ahead. All in all, it’s about 14 miles from the turn-off from Highway 58. The parking area near the interpretive center is covered in gravel; however it’s level. Try and park near the hard-packed trail to the interpretive center for the best access; however it’s important to note that some manual wheelchair-users may need assistance over the gravel surface. 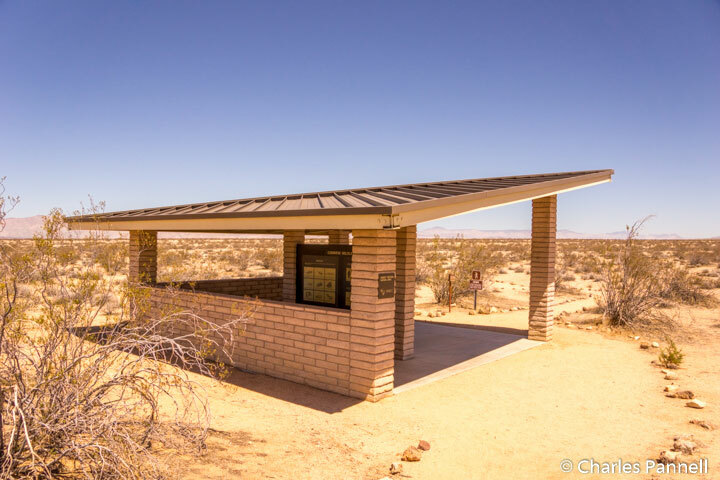 There’s barrier-free access to the interpretive center, which is a small kiosk with information about the local wildlife. An accessible vault toilet is located near the interpretive center, but because of erosion there is a slight step up to it. Still with a little assistance, it’s doable in a pinch. A quarter-mile hard-packed dirt trail begins next to the interpretive center. This loop trail is fairly level and doable for most wheelchair-users and slow walkers. 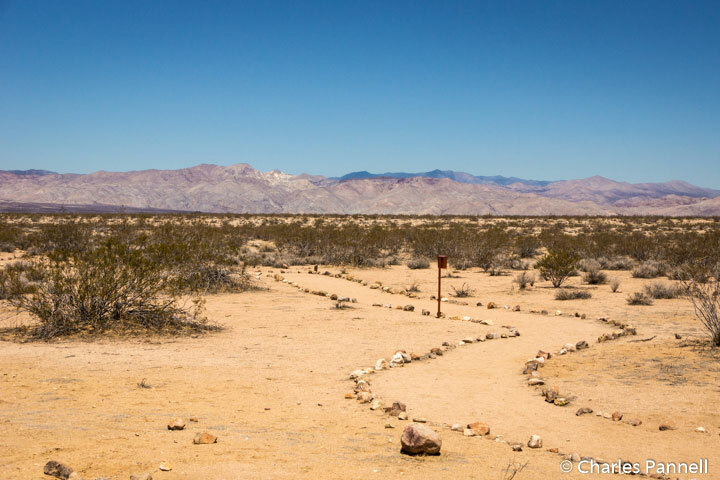 It’s along this trail that you’ll most likely spot the desert tortoises. Look for their burrows near the creosote bushes that line the trail. The best time to catch a glimpse of the tortoises is from mid-March to mid-June, either in the early morning or in the late afternoon. And during the season there’s also a naturalist on duty, to answer questions and help visitors locate the tortoises. Several other hard-packed dirt loop trails branch off of the main trail, and you can do as many as you like, depending on your stamina. All of the trails are level and doable for wheelchair-users and slow walkers. The first trail you’ll come to is the .4-mile Plant Trail, which is followed by the .5-mile Animal Trail, and the 1.78-mile Discovery Trail. Trail guides are available at the trailheads, and you’ll likely see ground squirrels, jackrabbits and kangaroo rats along the way. Native plants along the trails include creosote, Mojave asters, and burro weed. As an added bonus, the wildflowers should be spectacular this year (2017) thanks to some heavy winter rains. Although there are no guarantees that you’ll spot a desert tortoise, even if you come away empty handed, the trails still make for a lovely morning desert walk. And when you get ready to leave, make sure and check under your car for any errant tortoises. The reptiles seek out shade whenever possible, and they have been know to take shelter under vehicles when the temperature rises.